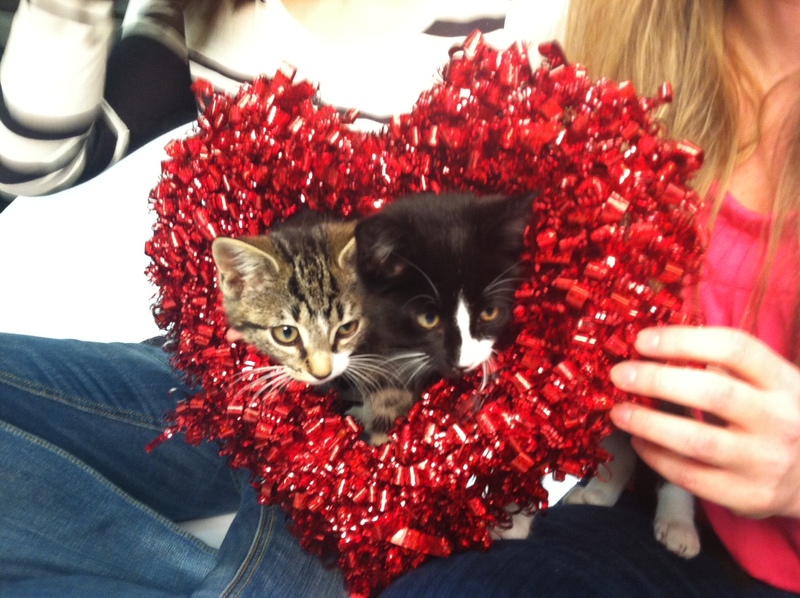 Nothing Says It’s Almost Valentine’s Day Like. . .
. . . a fabulous love-tastic photo shoot of adoptable animals! I had the pleasure of working with the extremely talented photographer Virgil Ocampo again last night (the same volunteer that took these amazing shots of adoptables a few weeks ago). We were taking pictures for an exciting upcoming Valentine’s Day event at the shelter, and we took the opportunity to go all out with cute pink and red props. 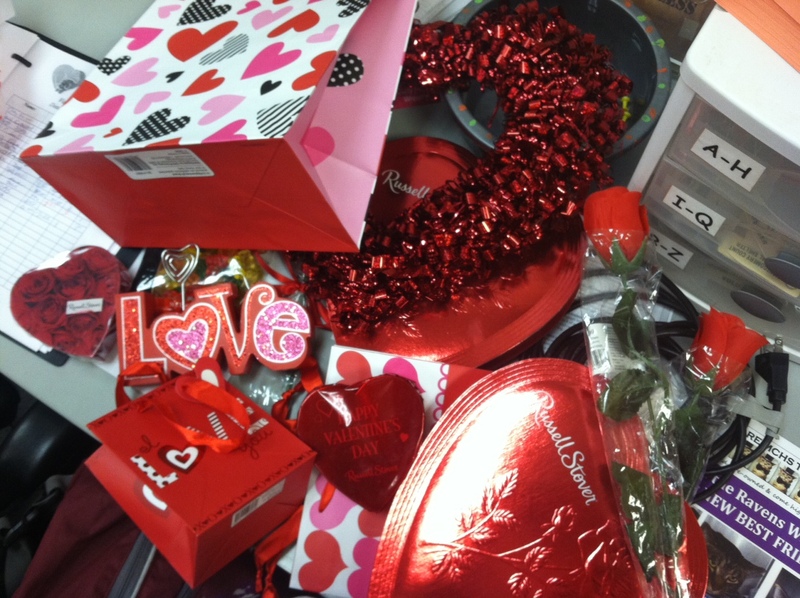 I absolutely love Valentine’s Day. I love the chance to celebrate love and to show the people I love in my life a little bit of extra appreciation for a day. That meant that I had a total blast with this shoot. I can’t wait to show you all the photos! Here’s a little behind the scenes action. . . stay tuned! This entry was posted in Cat talk, Dog talk, Photography, Rescue/Humane Society and tagged adoption, animal shelter, be mine, hearts, kittens, love, love animals, photo shoot, photography, Valentine's Day. Bookmark the permalink. Aww.. I love the black and white kittens markings. Lovely photos. 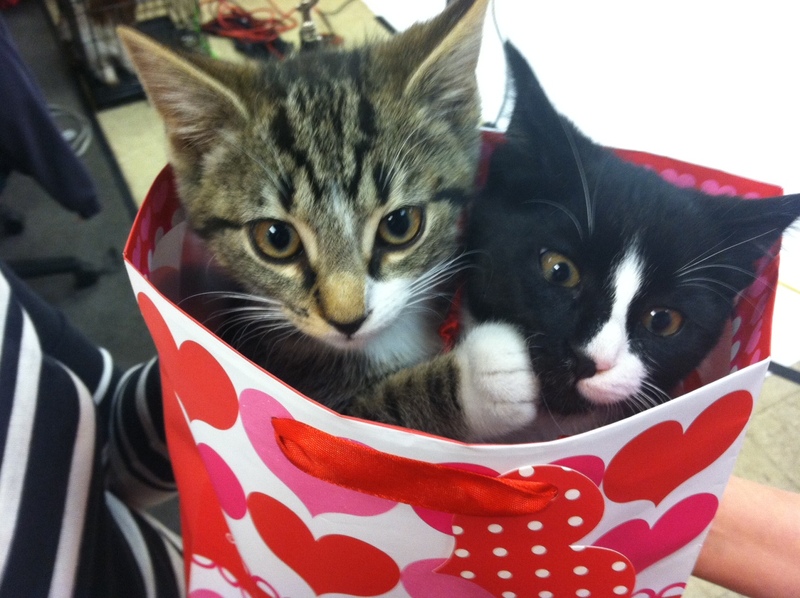 That first pic of the cats in the bag is too cute!! OMG, too cute. It’s wonderful that you can make the time to take these fabulous photos for adoptable pets. Kudos to you for working OT on getting this done! how awesome! can’t wait to see the final pics! Awesome photos – that second photo had me cracking up. Looking forward to the finished results. Oh my gosh, ADORABLE! 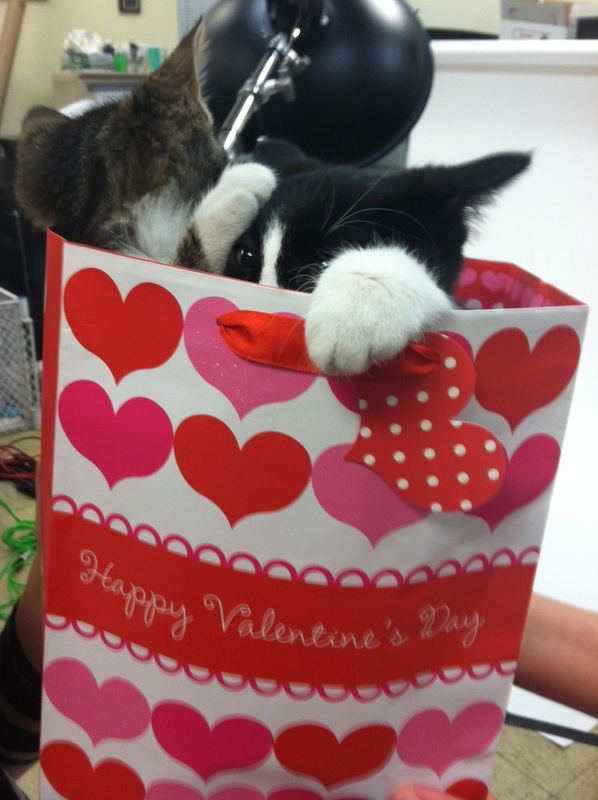 And what an awesome way to celebrate Valetine’s Day!